From the tiny minnow to the massive muskellunge, there are almost 800 species of freshwater fish in North America. 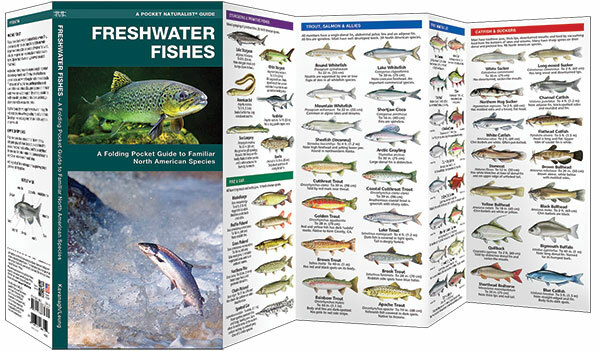 Freshwater Fishes is an ideal, simplified reference to the most common North American species. This beautifully illustrated guide highlights over 140 familiar and unique species organized by family to allow for easy comparison of similar species. 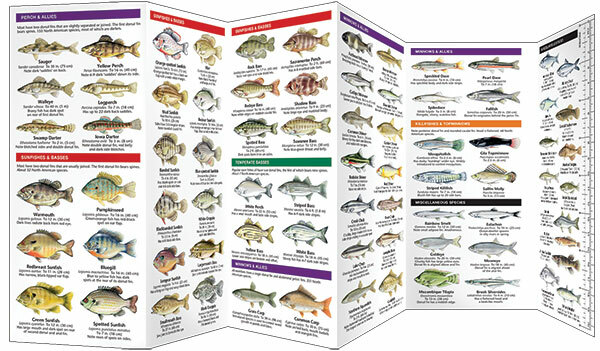 Laminated for durability, this lightweight, pocket-sized folding guide is an excellent source of portable information and ideal for field use by anglers of all ages. Made in the USA.